Feeding – when roots begin to show add nutrients at a quarter of the manufacturers recommended dosage. Ventilations – once roots are showing, open the vents slightly. 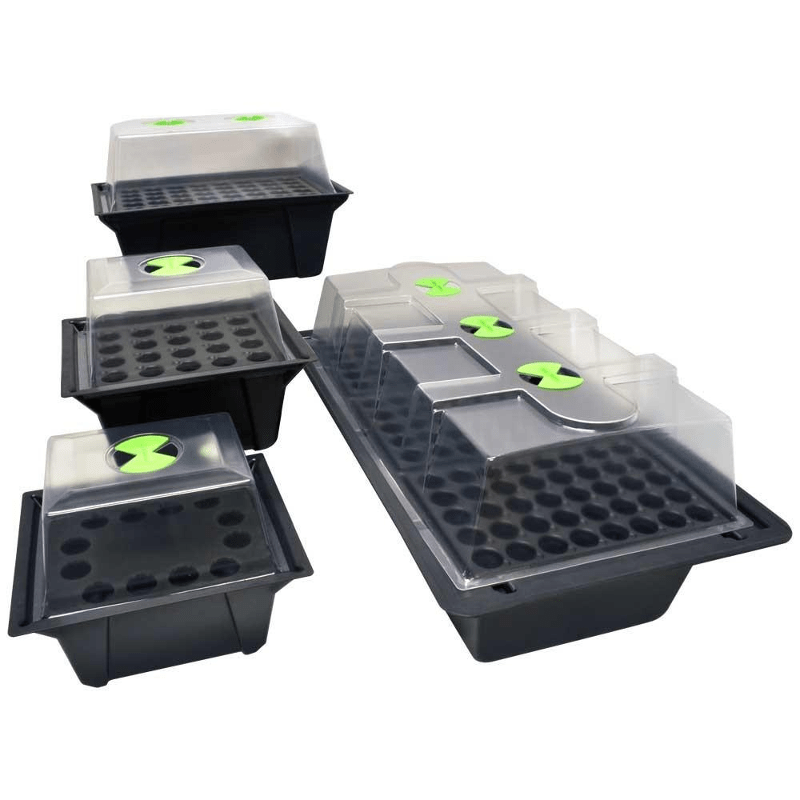 Gradually increase the opening every day and remove the lid completely to harden off for a couple of days before transplanting on.